Based on 100% Estonian capital. Sine-1 LCC is a manufacturing company. 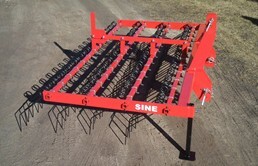 We produce „SINE“ 4wd forest trailers, tined weeders(3m, 6m, 9m), springs and many other products. 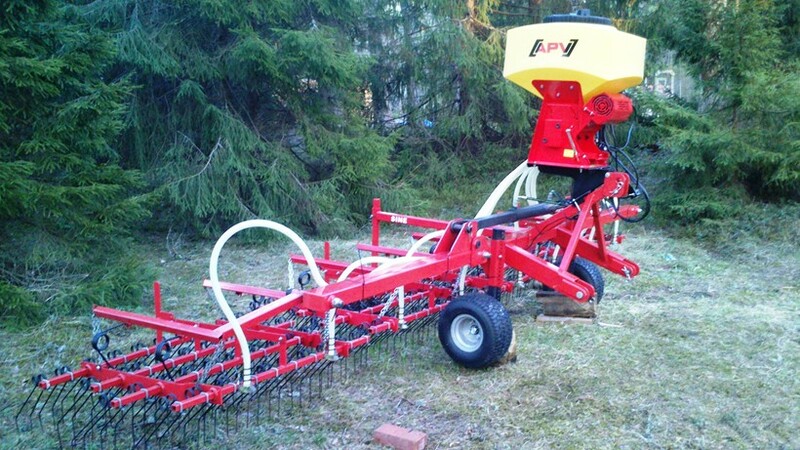 Our aim is to produce high-quality and well-functioning machinery for the forest industry and agriculture. 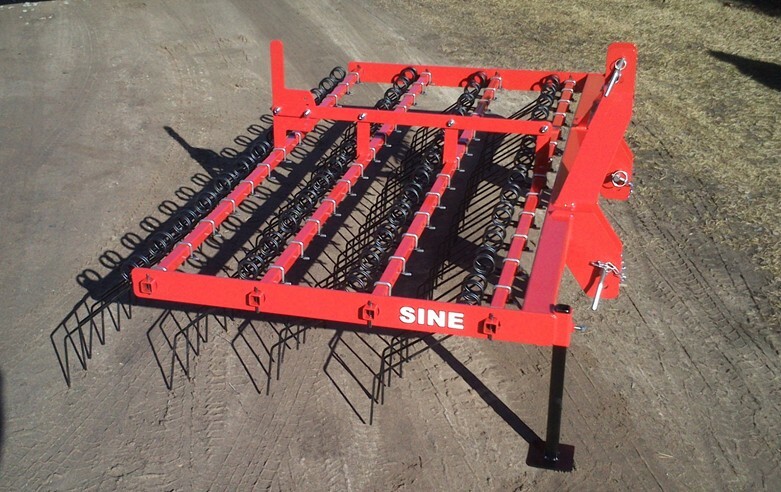 „Sine“ products are well-known for their durance and good technical solutions. 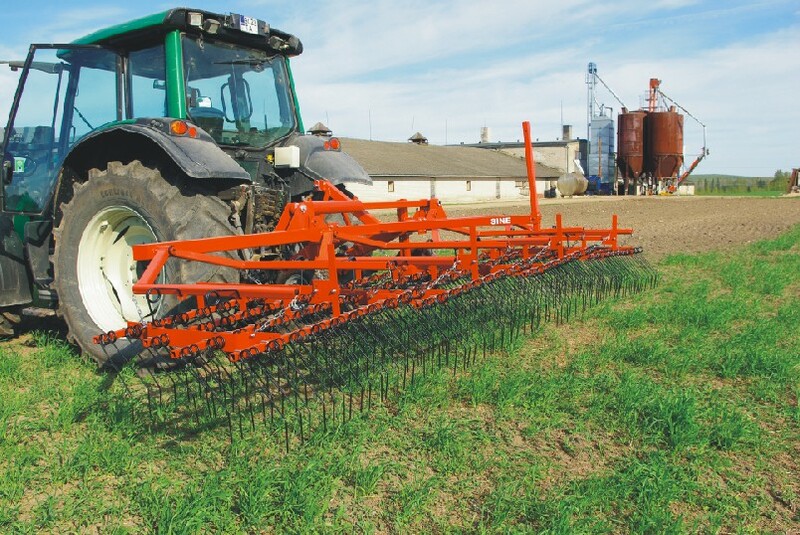 Thanks to its strong framework and varied uses (grain, broad bean, peas, potatoes, vegetables and grassland), the tined weeder is an essential cultivation implement for modern agriculture. 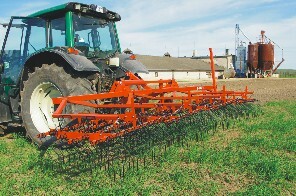 As an alternative to chemical weed control, the weeder makes a valuable contribution to the tilling process. CAN BE COMBINED WITH pneumatic sowing machine ! 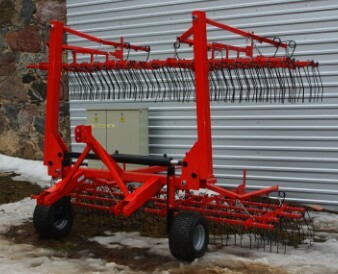 SINE grassland weeder, mounted front and cooperates with a tined weeder. 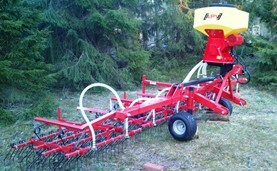 The grassland weeder evens out molehills and cowpies and ensures that the even spreading of organic materials. It additionally airs the turf, tears up tangles and by currying out weeds provides new space that can be filled with precious seeds. Grassland maintenance not only increases yields and nutrients, it reduces the growth of weeds because there is no space for them to take root. 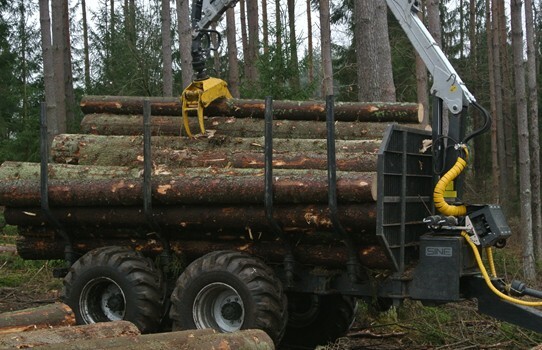 The SINE F150 4WD forestry trailer has a sturdy set of bogey axles based entirely on mechanical transmission, with the power generated by the drive shaft being transmitted via a drive gear. 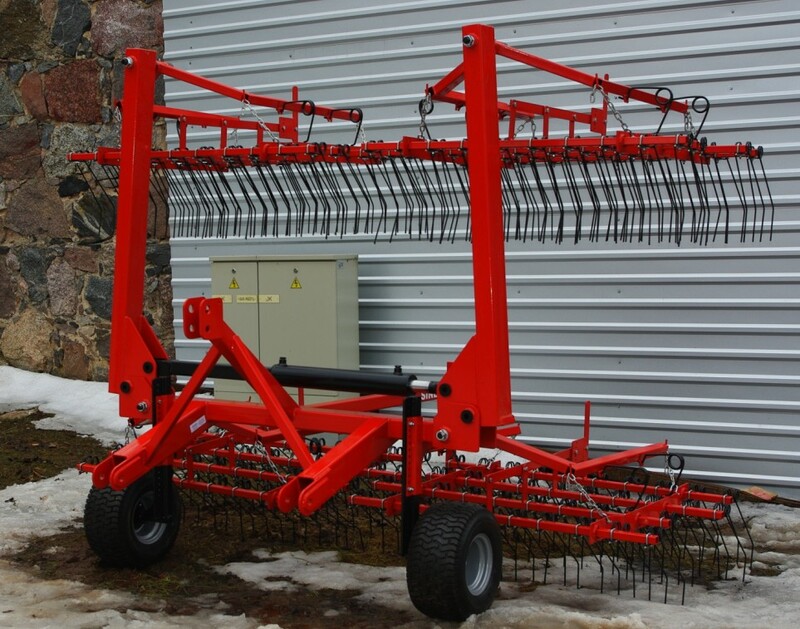 The gear ratio between the tractor and the trailer has been adapted in the trailer's front-end gearbox, the gear ratio of the trailer being variable by changing a pair of gear wheels or the entire gearbox. Quick attachment to/from tractor. Driving speed on public roads up to 30-40 km/h. We mainly use Russian origin bogies.